In this fast-paced day and age, especially when we live in a city or metropolis like Hong Kong, it can be difficult to ground ourselves and find the time to re-immerse ourselves in the beauty of nature. Even though Hong Kong is home to a large range of public green spaces, with the bulk of the population always just a few blocks from a verdant, leafy green area (take Kowloon Park, Nan Lian, or the hiking trail along the Dragon’s Back, for example), it's one thing to share a lush garden space with the rest of the city, another thing altogether to have access to our very own space in the privacy of our homes. 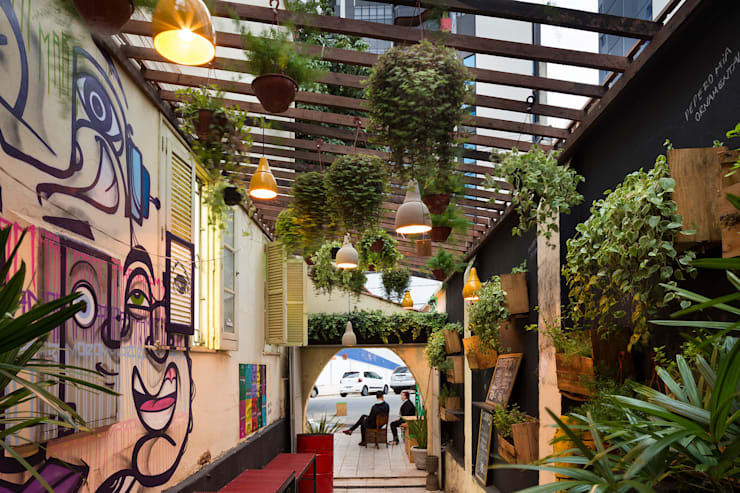 For those of us blessed with enough space in our properties, the inclusion of a private garden oasis can be a truly excellent addition to our daily lives. Time spent in the a garden balances out our routines and induces greater harmony within ourselves: it makes us more contemplative, more connected, while providing a safe haven and refuge from the madness of the outside world. Today on homify, we're taking a look at home gardens, with a particular focus on a relatively fresh style of modern home garden: the wonderful world of 'holistic' gardens. 'What exactly is a holistic garden?' we hear you ask. 'How does it different from any normal garden?' Read on and learn all about it. While a basic garden might be set up to look aesthetically pleasant, a holistic garden is designed for all the senses. Sure, it's designed to look as beautiful and visually stimulating as possible, but it's also designed by taking into account sounds, smells, and a far more kinesthetic approach. By deepening our relationship to a garden space through the senses, it is thought that we can draw on the innate healing powers of nature to restore balance and harmony in ourselves. As holistic garden advocate Karen York suggests, Whatever form it takes, the healing garden affords us the opportunity to gaze inward and outward in an intimate communion that renews us physically, emotionally and psychologically. 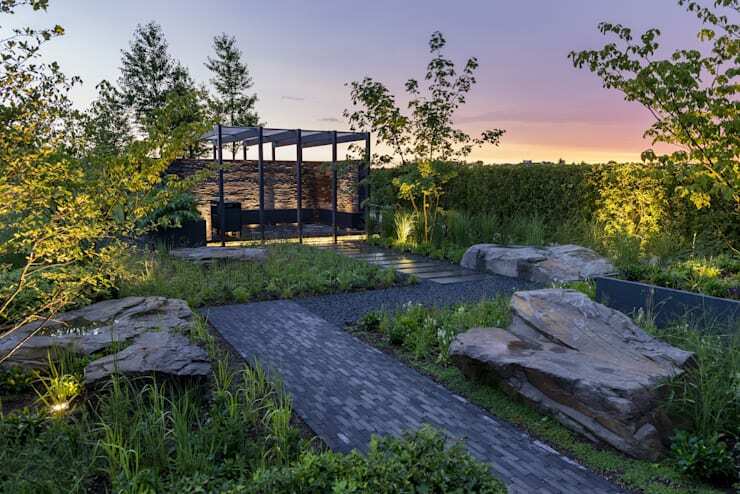 In short, the holistic garden elicits much more than visual splendour: it prompts and triggers all of our senses, to help create and induce a sense of overall wellbeing. But of course, all gardens begin start with visual appeal, and the foundational aspect of any garden, holistic or otherwise, comes down to how it appears to the eye. Creating a visually stunning and instantly inviting setting ought to be the first priority of your healing holistic garden space. Lush plants and foliage, spruce trees, hedges and ferns are all excellent choices for bringing in a forested oasis feel. By all means, mix things up with stone features, walkways and thoughtful landscaping. Here, we have all these elements working in harmony: verdant green patches, a luscious hedge trimming, stone pathways and natural rock features, thoughtfully framed with a beautiful selection of artificial downlighting to enhance a sultry night time feel. Need a little extra advice on how to make your garden visually stunning? Why not chat to a professional and find out a little more? 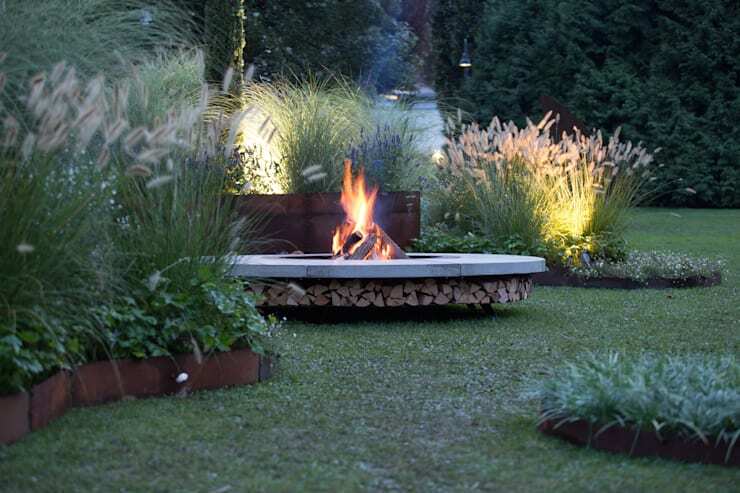 Here, we see the inclusion of a brilliant feature fire pit amidst lush garden foliage. While the warmth and primordial visual allure of this fire is a core selling point, the smell of its charred embers and wood smoke is perhaps even more evocative. Smells like these, or things like citronella burners, scented candles and incense, can be effortlessly used to trigger emotional memory, influence emotion and calm our moods, leading to a natural, harmonious inner state. While evocative scents make for a welcoming and soothing sentient treat, gifts for the ear can be just as nourishing. Thankfully, there are a lot of different things you can to to work sounds into the mix, and give your holistic garden an added depth of healing and harmony. Light, calming meditative music filtering through thoughtfully placed speakers in and around the garden would be a nice touch. If that's not possible, or desirable, consider going for real, natural sounds instead. Here, we see how a feature water fountain not only brings so much to the space visually, but also creates an effortless natural soundscape. Just imagine the gentle trickle of water steadily falling into this pond below, a constant stream of natural aural splendour. Add a feature stone buddha monument nearby, and you've got yourself a fantastically relaxing Zen scene, perfectly set up for harmonious healing and relaxation. 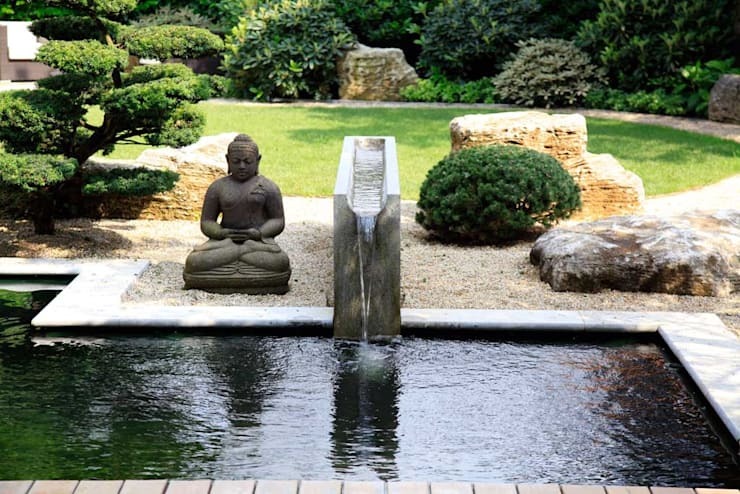 Water features really are highly versatile in the garden and work in all sorts of brilliant ways to induce feelings of calmness and sentient beauty. As well as offering something for the eye and hear, water features can be excellent attractors for natural wildlife and fauna. 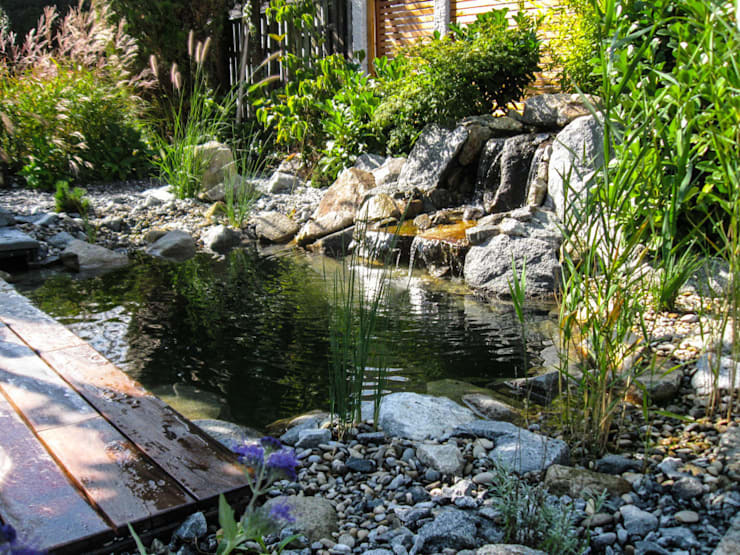 Whether it's fish, frogs or geckos living in and around the space, or the birdlife that is sure to start inhabiting on a daily basis, water features such as this natural pond, neatly framed with stone and wooden sitting deck, can't help but enhance your feeling of connectedness with the natural world. Ultimately, when it comes to the holistic gardens, there are no set rules in place. Your garden ought to be your refuge, your own individualised place of escape and calmness. Whatever works for you ought to harnessed and implement across the space as you see fit. While there are generalities when it comes to sights, smells and sensations, your holistic garden is your spiritual and kinesthetic experience, so landscape, decorate and design as you desire. 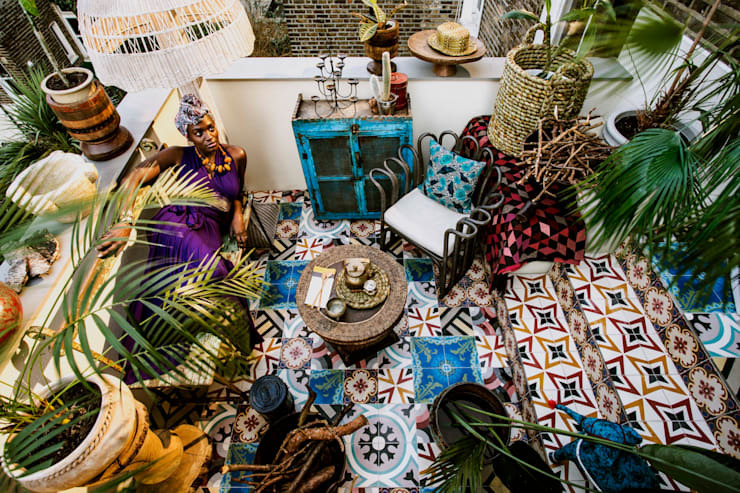 Whether it's the inclusion of a modern-style deck with contemporary accessories; a rustic, more minimalist space; or a colourful patio area with bright tiles, ferns and painted furniture as we see in this vibrant example, whatever relaxes you and makes you feel grounded, at ease and rejuvenated ought to be your criteria. Get creative, use these tips as a starting point, and start thinking about how you can turn a basic garden space into something that appeases so much more that just sight alone. Did you like that Ideabook? Why not keep the domestic harmony flowing with a look at our guide to Enchanted gardens? Do you have any other holistic garden tips for our readers? We’d love to hear from you in the comments section below!